LAWRENCE, Kansas, Sporting Alert – As expected, Kansas has returned to the No. 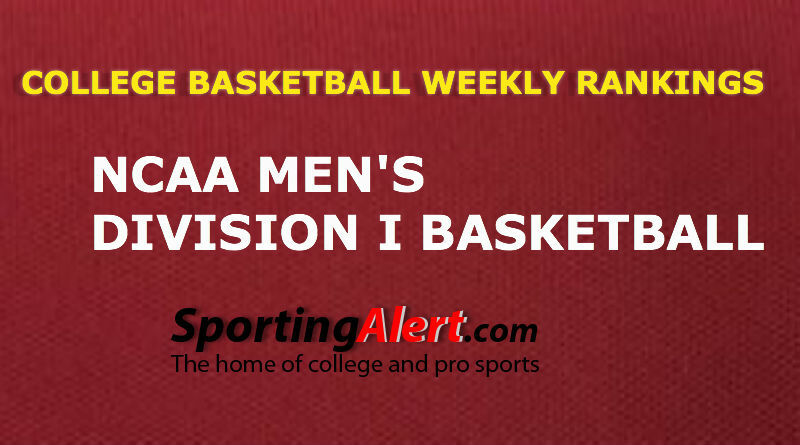 1 spot in the AP College Basketball Top 25 Rankings for men in Week 17, which was released on Monday. Kansas, which spent two weeks atop of the rankings, reclaims the top spot for the first time since topping the AP poll in Week 9 and Week 10. The men from Lawrence who were No. 2 in last week’s poll, collected 63 of the 65 total first-place votes from the media panel for 1,623 points. The Jayhawks (25-4, 13-3 Big 12), who have won nine straight games, secured their 12th consecutive regular season league title this past weekend, following a 67-58 win over Texas Tech on Saturday. On Monday night, Self’s side will look to extend its winning streak to 10 straight when it travels to Austin to take on a very confident Texas team at Frank Erwin Center. Meanwhile, Michigan State (24-5, 11-5 Big Ten) moved up four places to No. 2 this week after picking up a pair of wins over Ohio State and Penn State during their scheduled fixtures last week, while Villanova (25-4, 14-2 Big East) falls two places to No. 3 after losing to Xavier last week. The Spartans collected the other two first-place votes for 1,510 points. Virginia (22-6, 11-5 ACC) and Xavier (25-4, 13-4 Big Ten) complete the top 10 this week. Oklahoma (22-6) behind that defeat to Texas, falls three spots to No. 6, Miami (FL) (23-5) which won against ranked teams Virginia and Louisville last week, move five places up to No. 7 this week, with North Carolina (23-6), Oregon (23-6) and West Virginia (22-7) rounding out the top 10. Completing the top 15 in Week 17 are Louisville, Indiana, Utah, Maryland and Purdue. Iowa dropped eight slots to No. 16, with Duke also falling this week — dipping two places to No. 17. Arizona, which dropped both games last week to Colorado and Utah, was the biggest dippers in this week’s AP college basketball top 25 rankings, while Notre Dame, which was ranked No. 23 in Week 16, are out of the top 25 this week. California (21-8) is the boys in this week’s poll, coming in at No. 25.